Puri Jagannath Temple, located at Reddy Kuppam Road, Kannathur, on East Coast Road close to the popular Mayajal sports complex, Chennai. 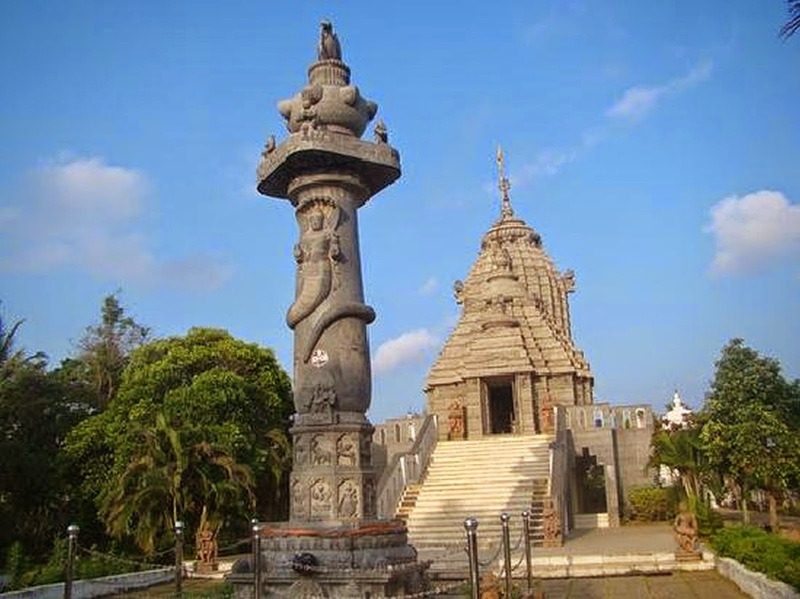 The temple, built in Nagara style of architecture reminiscent of the original Jagannath Temple in Puri Odisha founded by Chaitanya Mahaprabhu and dedicated to Lord Jagannath, a form of Lord Vishnu and his siblings Balabhadra and Subhadra. However it is not the total hundred per cent replica of Puri Jagannath Temple, Odisha. The temple complex has minor shrines dedicated to associate deities (parivara devatas) like Kasi Vishwanath (form of Lord Shiva), Kanchi Ganesha, Yoganarasimha, Mother Basil (Tulsi or Tulasi), Devi Gajalakshmi, Devi Vimala, and Navagrahas (Nine planets appear in human form). Similar to Odisha Puri Jagannath Temple, the deities are carved from neem wood. The Nagara style temple vimanam sculpted from black granite stone brought from Kanchipuram and the prayer hall or maha-mandapam flooring made from Rajasthan white marble. There is an imposing ornate Garuda Pillar or dhwaja sthambha before the sanctum. The Stairs with a decorated baluster lead to the elevated sanctum. They have recreated the 'Pata Chitra' paintings (from Odhisa temple) depicting Lord Vishnu's ten incarnations (Dasavatar) on the walls and ceilings. The temple was consecrated on 26 January 2001. Built near the seashore, the temple is surrounded by the Bay of Bengal. The temple complex is landscaped with lush green lawn and the flowering garden. As in Puri, Odhisa, the priests personally collect flowers for puja rituals. Ancient days Jagannath Temple at Puri in Odisha was existing as the only original shrine. Over a period of time number of princely states constructed the replica of Jagannath temple at their capital towns. Now Jagannath devotees voluntarily assumed the responsibility of recreating Puri Jagannath temples at various places. Puri Jagannath Temple at Kanathur is one such effort. If you have not visited the Puri Jagannath Temple in Odisha, you can make it a point to have darshan of Puri Jagannath at Kanathur. 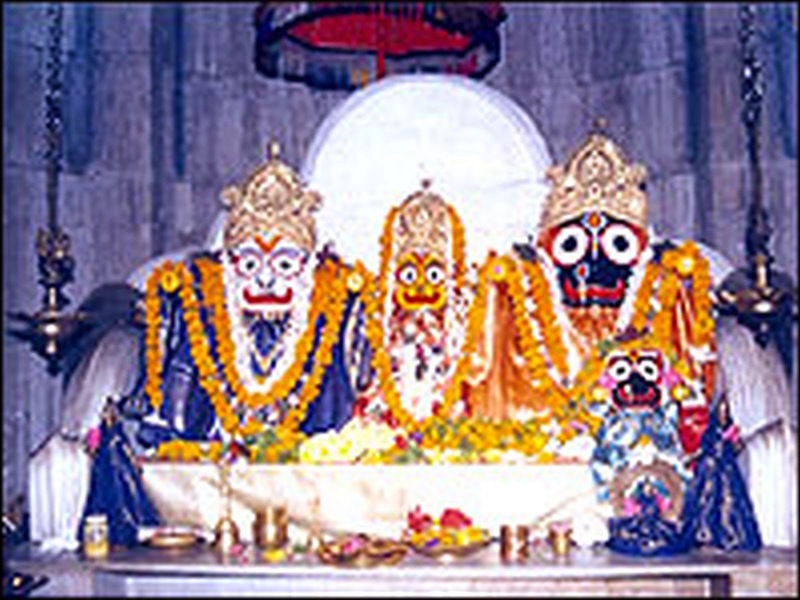 Rath yatra is the annual festival of this temple and celebrated on the same day as in Puri. They have built the stainless steel rath for this purpose. You will feel the spiritual atmosphere and the whole time spend in the temple will be pure, calming and rejuvenating. The prasadam or anna dhanam is divine. The temple also arranges cultural events like dance performance of the Odysey dance (classical dance form of Odisha). The sevakas (priests) from Odisha perform Sevas (Pujas) here: (1) Daily niti (daily seva-puja or daily ritual services), (2) Occasional niti (specific occasions like Ekadasi, Sankranti, Amavasya, Grahana (eclipse), Nakshatra or any other periodical rituals ) and (3) festival niti (festivals like Jhulana yatra, Rath yatra, Snana yatra, Chandana yatra). Niti in Odisha language means policy or principle or procedure. The ambiance is perfect and all the puja rituals will be mesmerizing, injecting power vibes and its quite easy to lose track of time here. The Jagannath Temple is located in Reddy Kuppam Road, Kanathur, Chennai. The temple around 400 meters away from the main road (ECR Road) and comes after the Mayajal (a recreation center on the East Coast Road) bus stop.